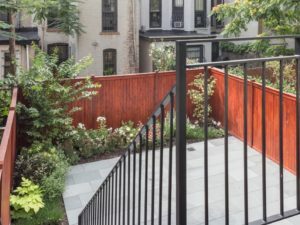 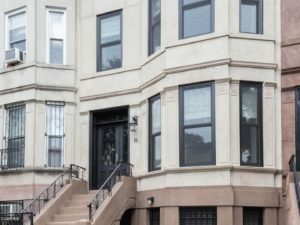 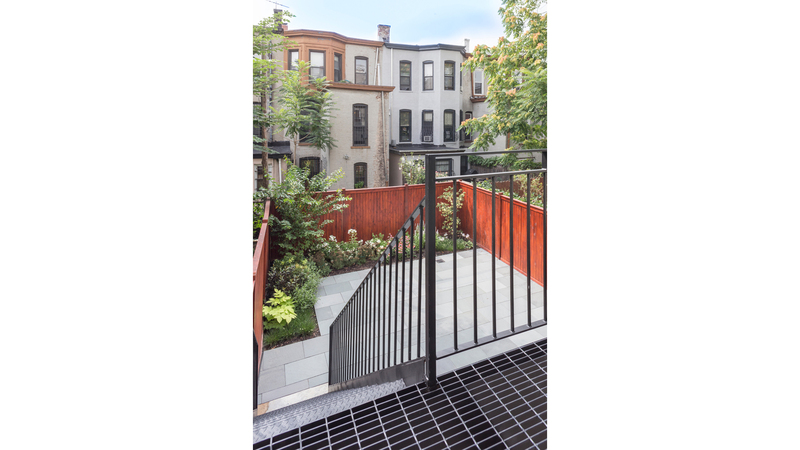 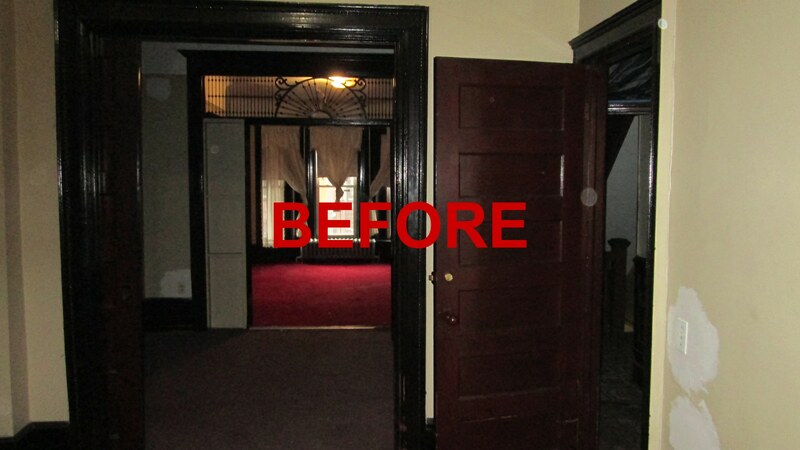 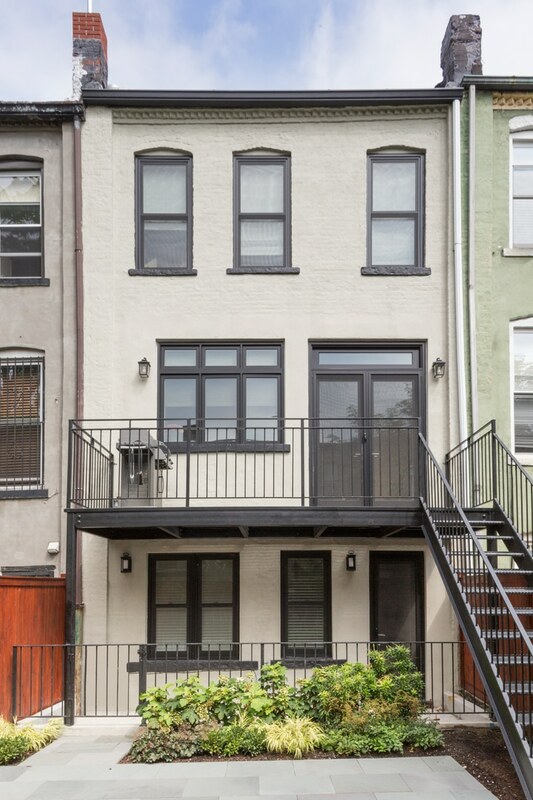 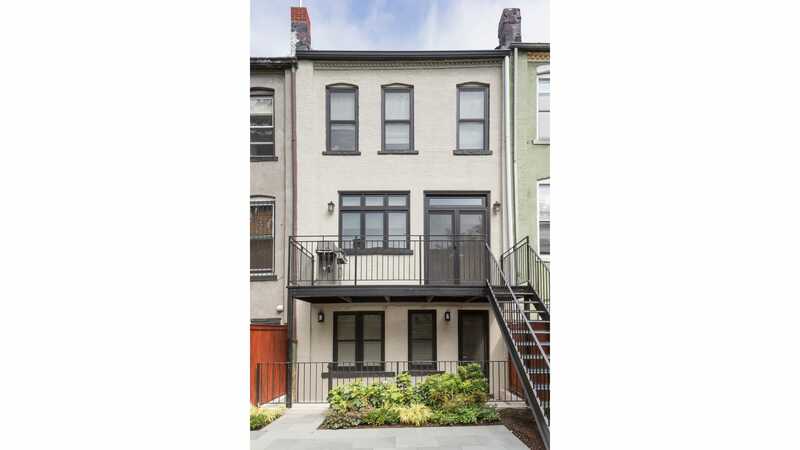 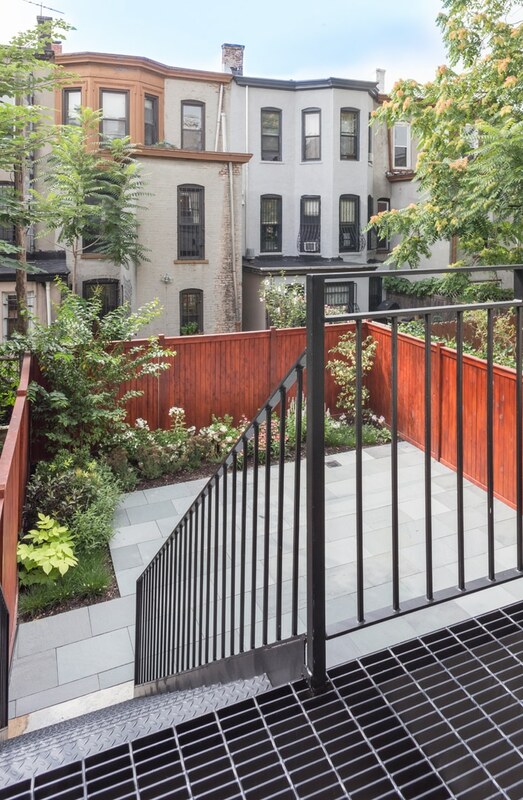 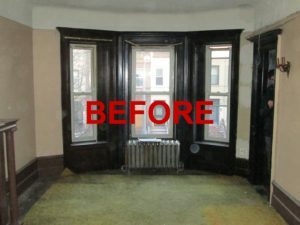 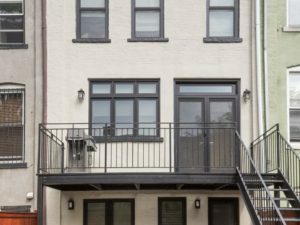 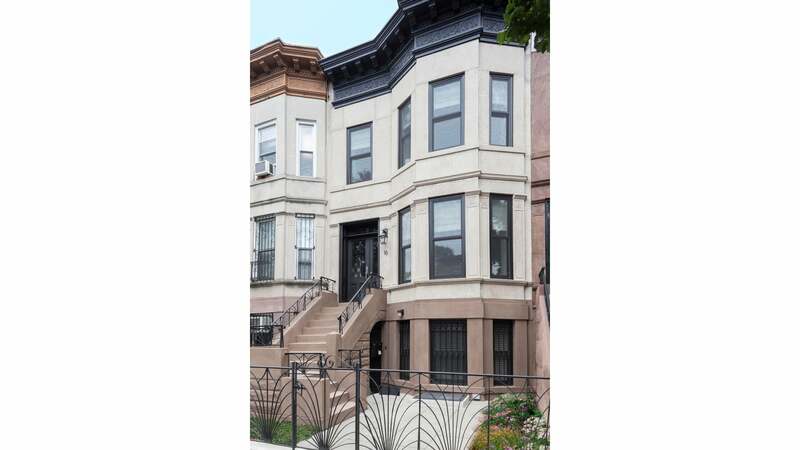 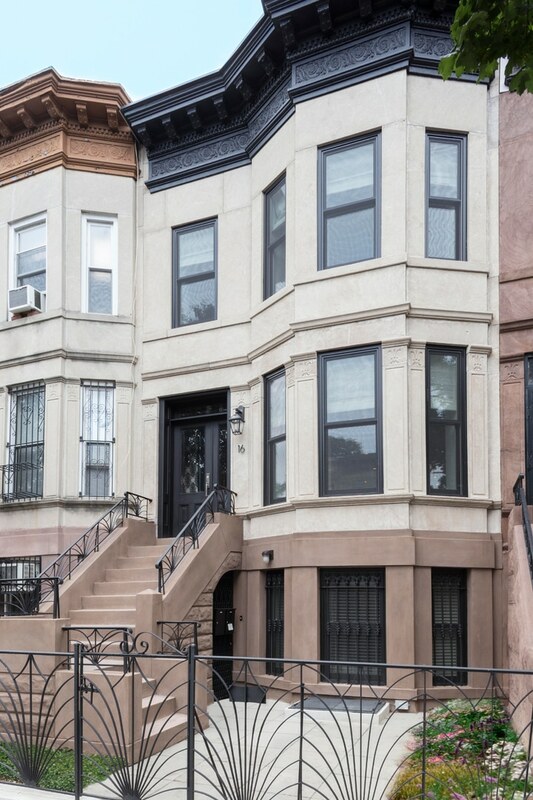 This 18’6” wide townhouse had a typical claustrophobic layout of small rooms and serious damage from decades of neglect. 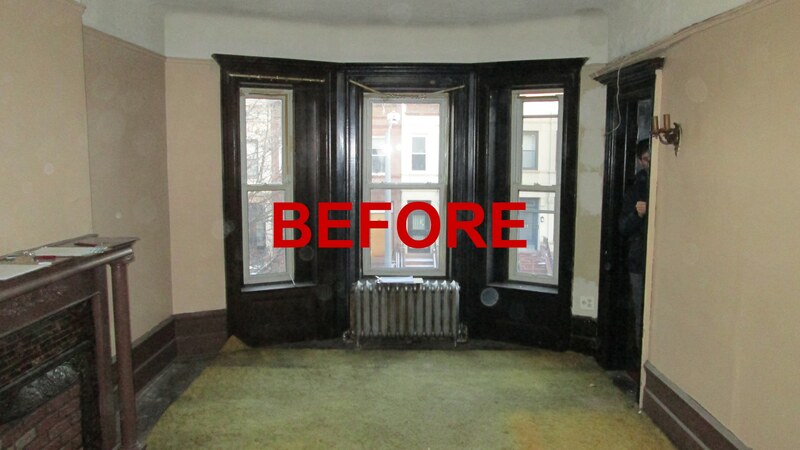 It received new windows, roof, kitchen, baths, floors, and HVAC. 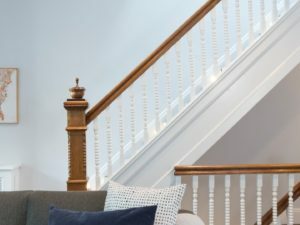 The C of O was changed to a 2-family. 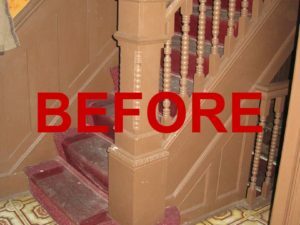 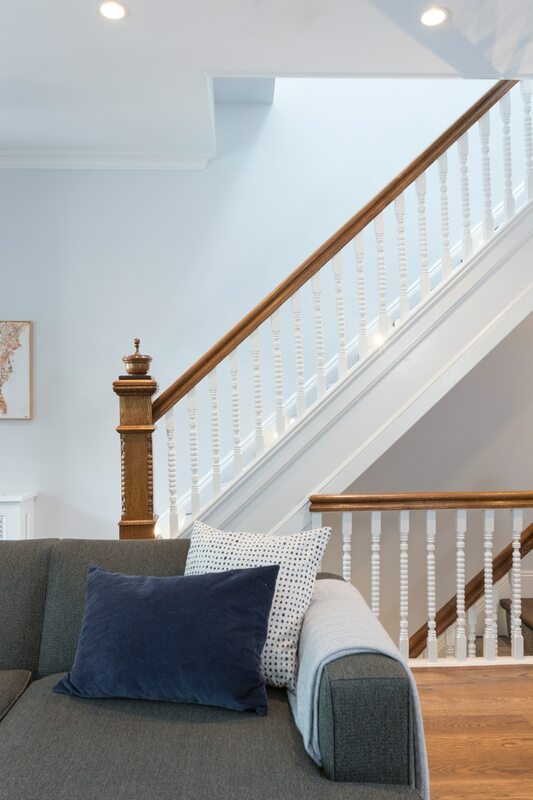 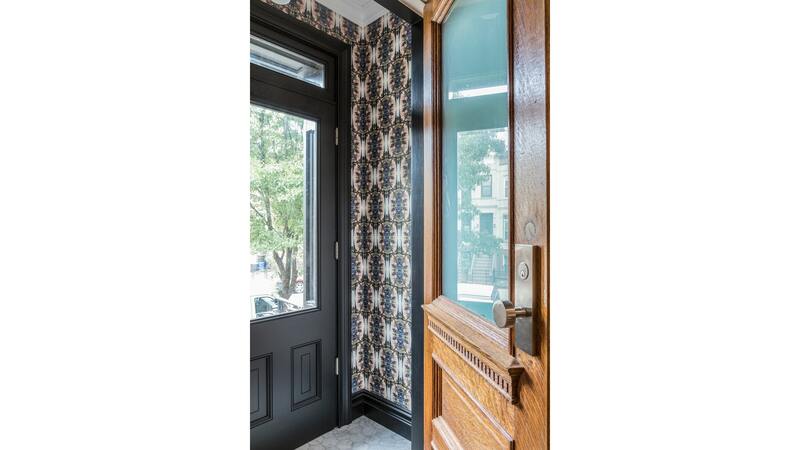 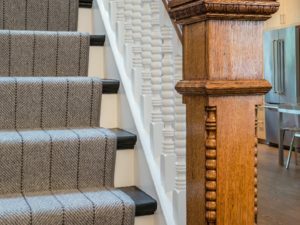 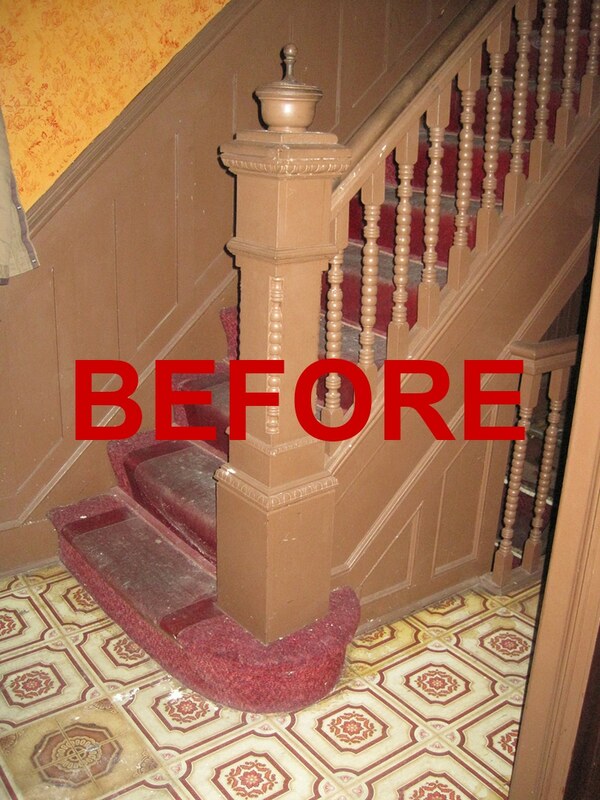 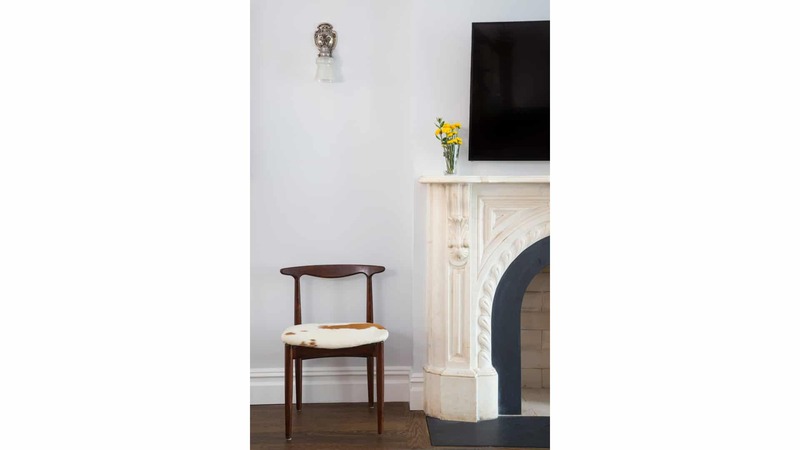 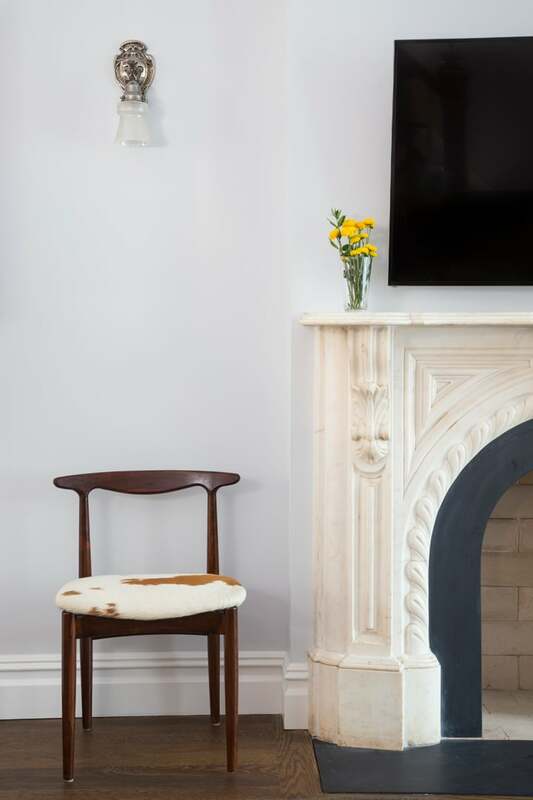 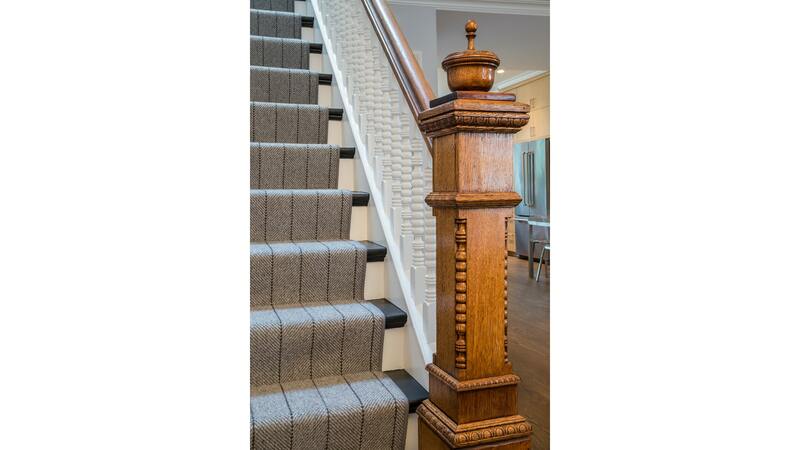 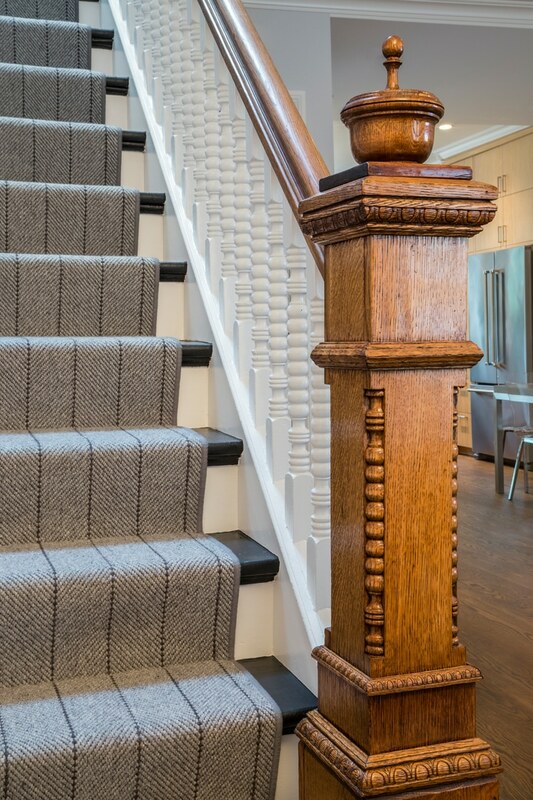 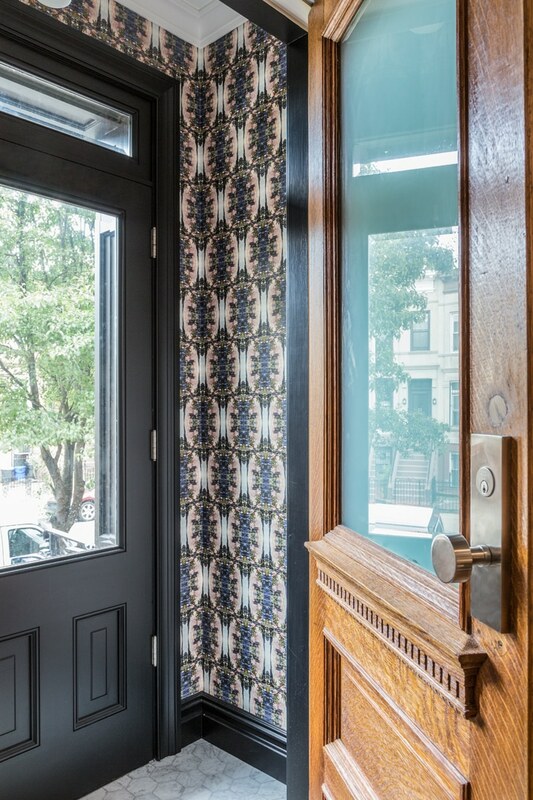 Original details like the stairs and beautifully carved newel post were restored wherever possible. 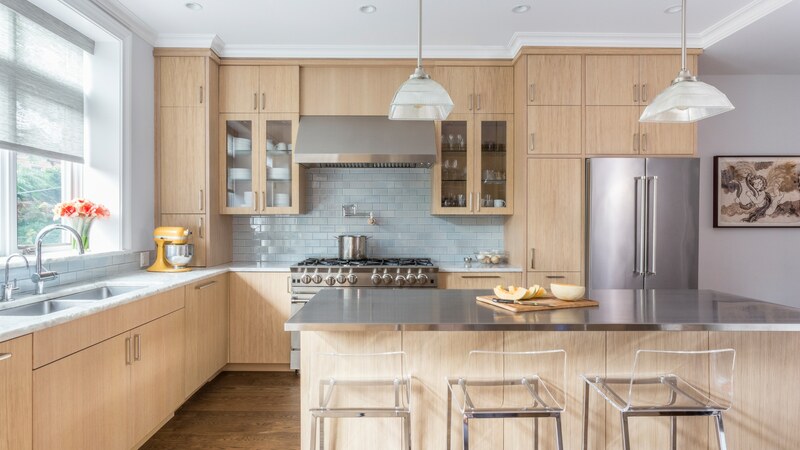 We installed new structure to completely open the parlor level, and steel beams to open the back facade to accommodate a large expanse of kitchen windows. 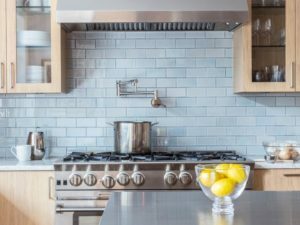 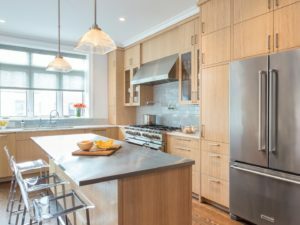 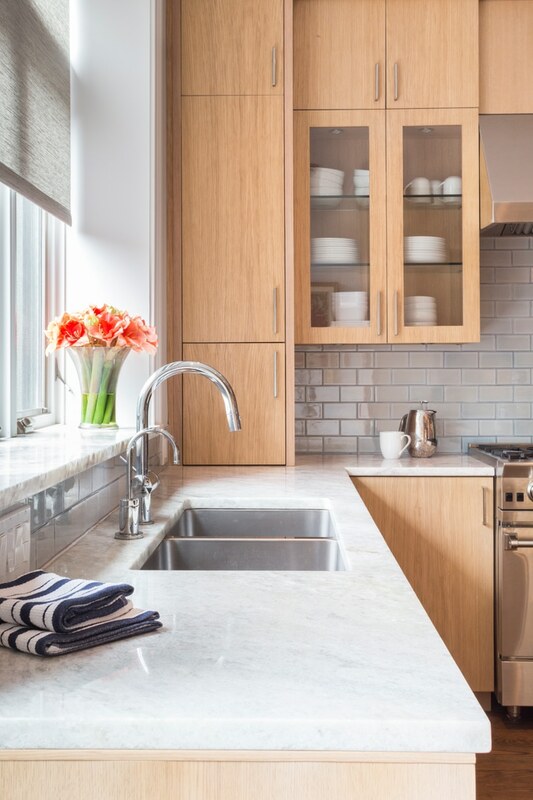 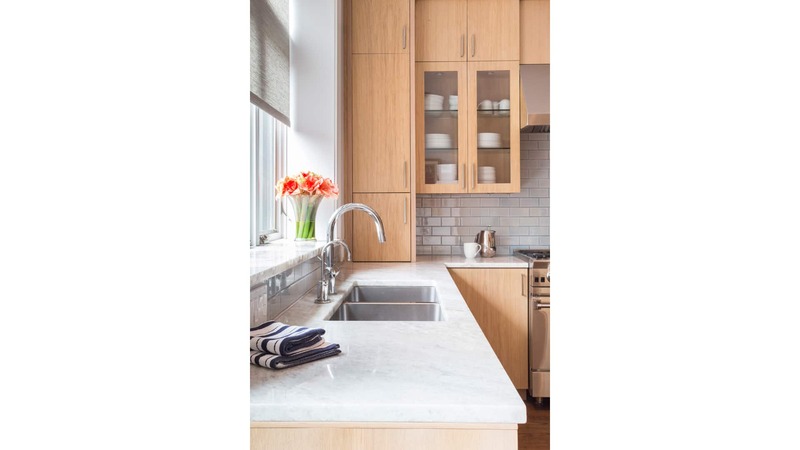 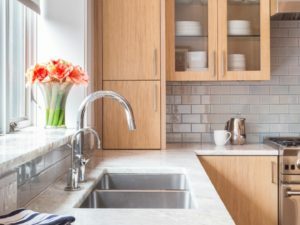 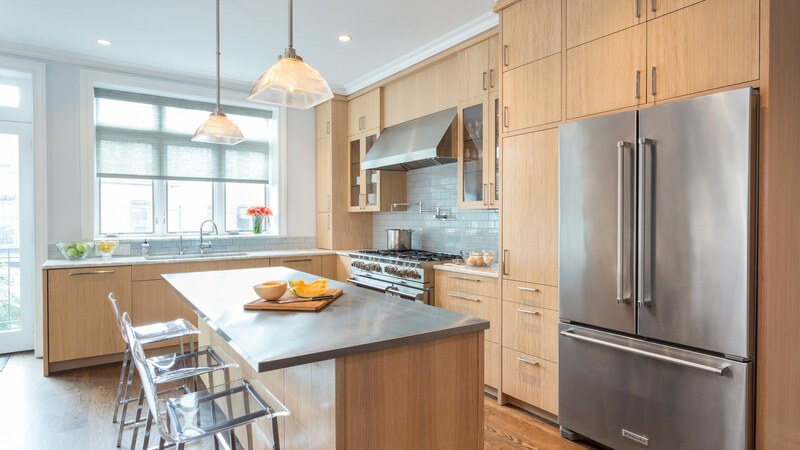 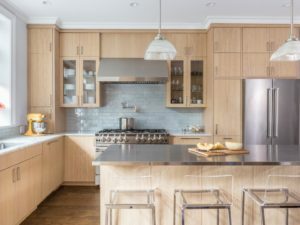 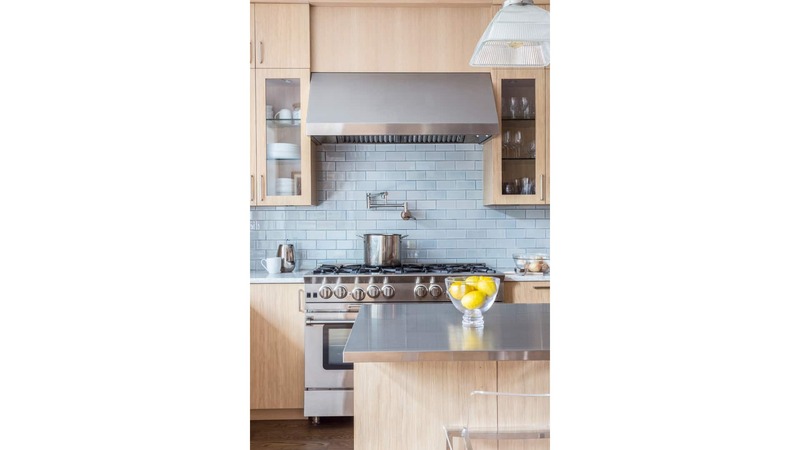 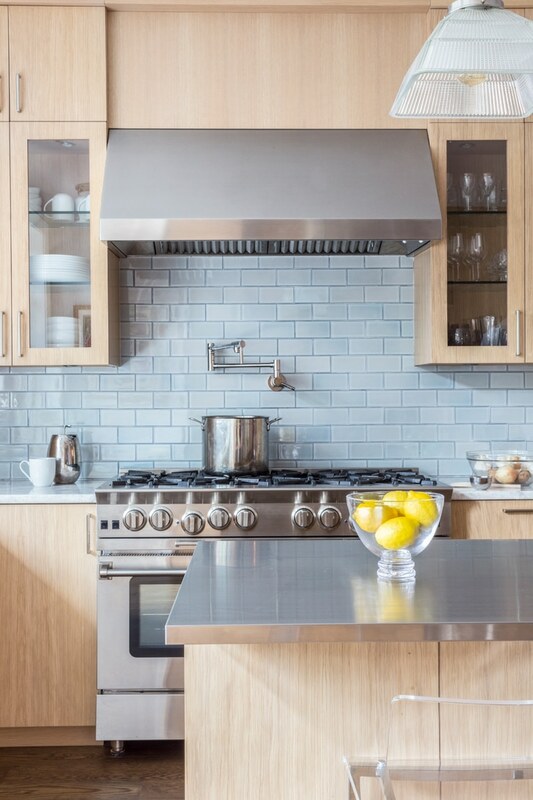 The chef’s kitchen is designed for serious cooking, with sleek limed, rift-oak cabinets, natural quartzite counters, and a stainless steel island. 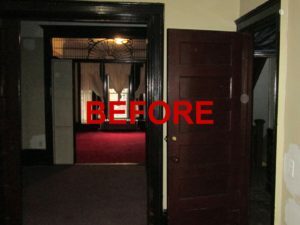 Special antique lighting was sourced by the clients throughout. 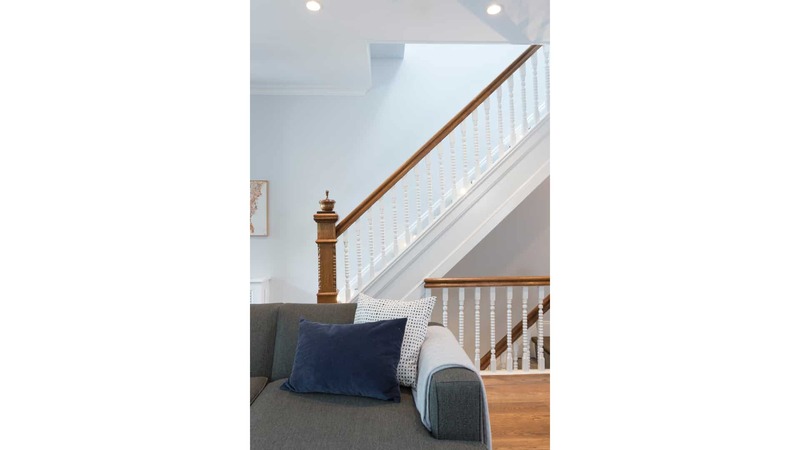 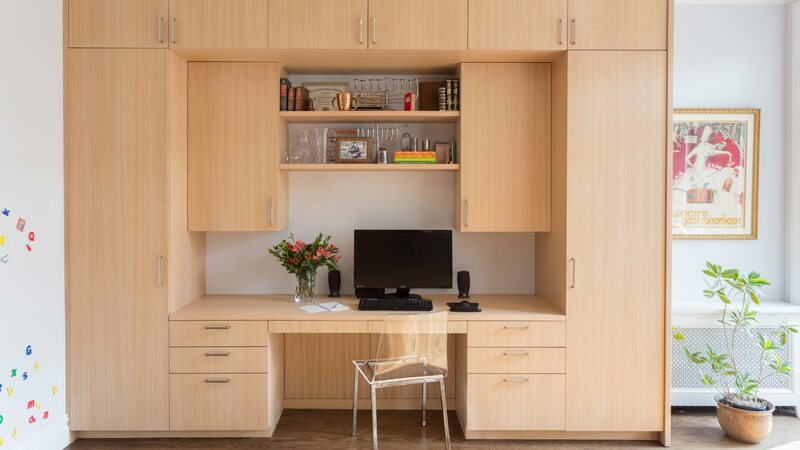 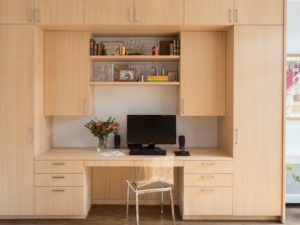 The second floor was carefully reconfigured to fit three bedrooms, two baths, a walk-in-closet, laundry, and ample storage. 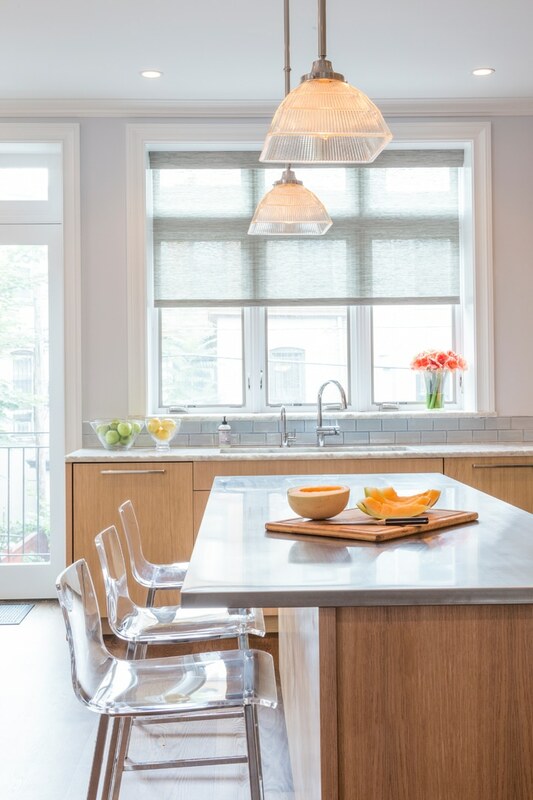 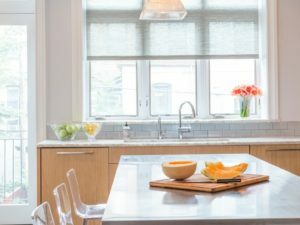 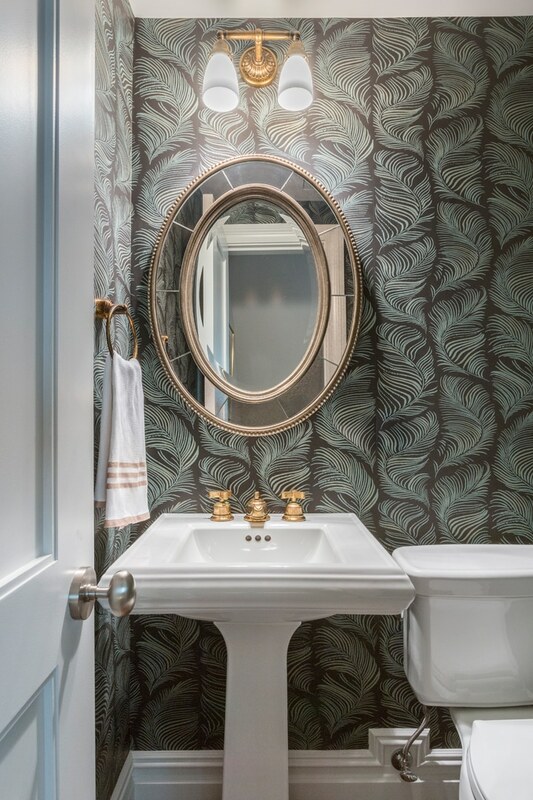 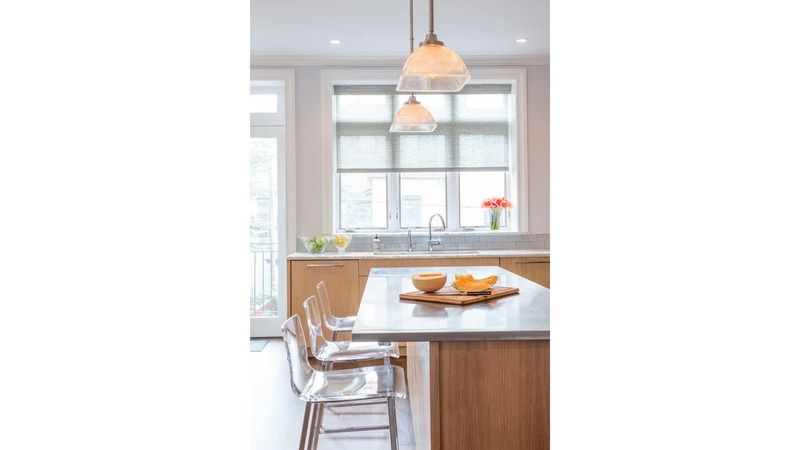 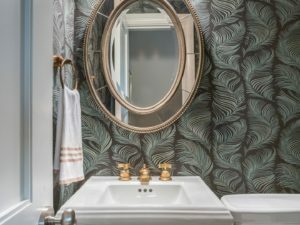 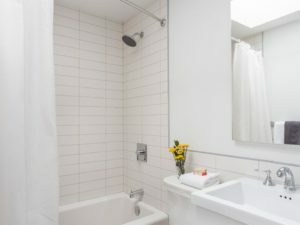 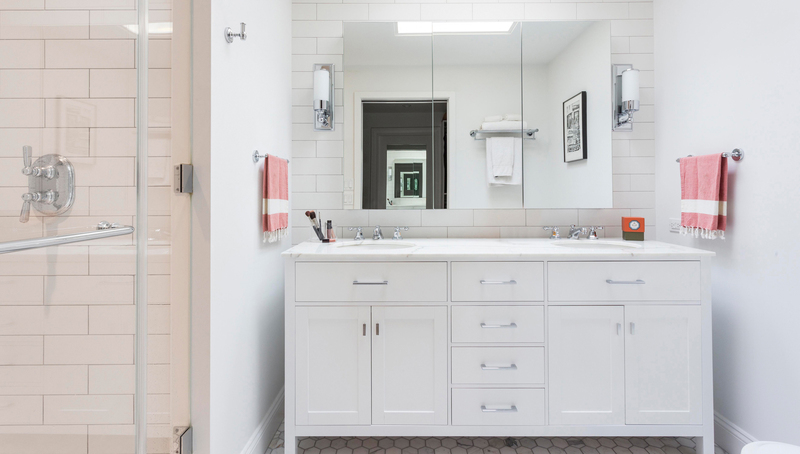 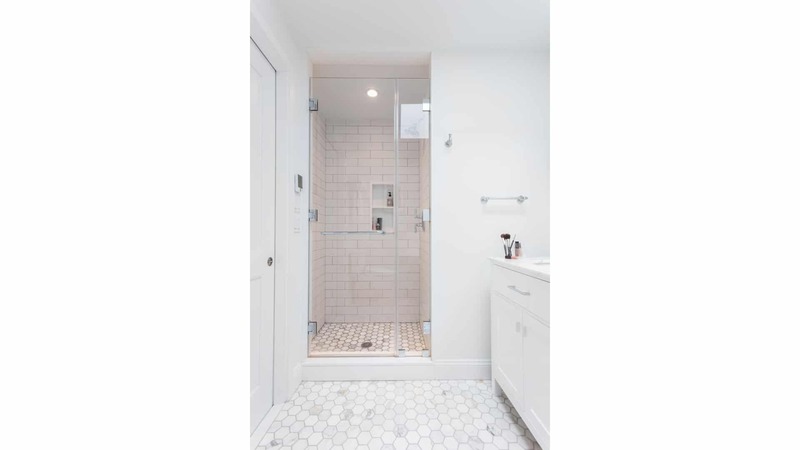 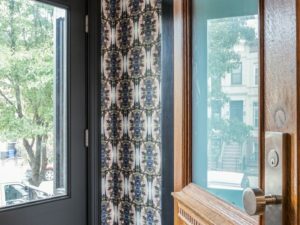 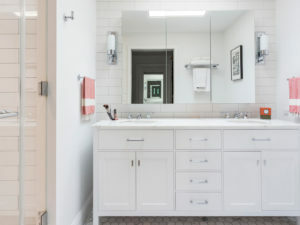 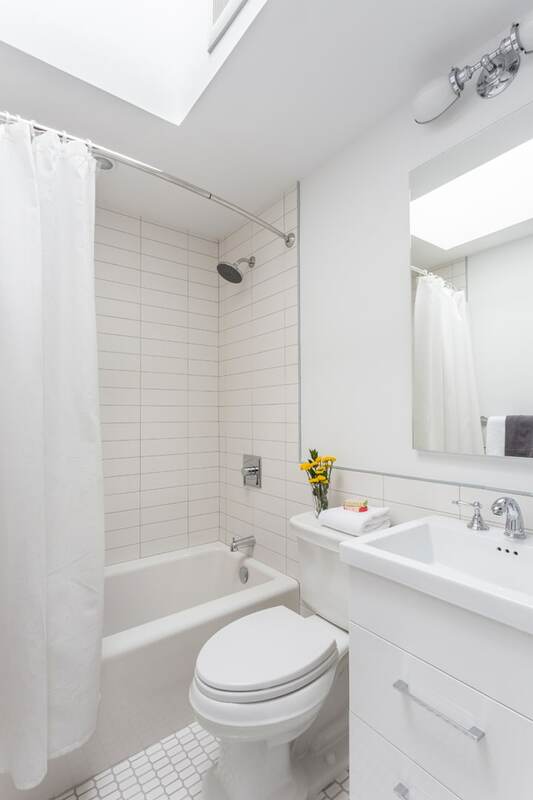 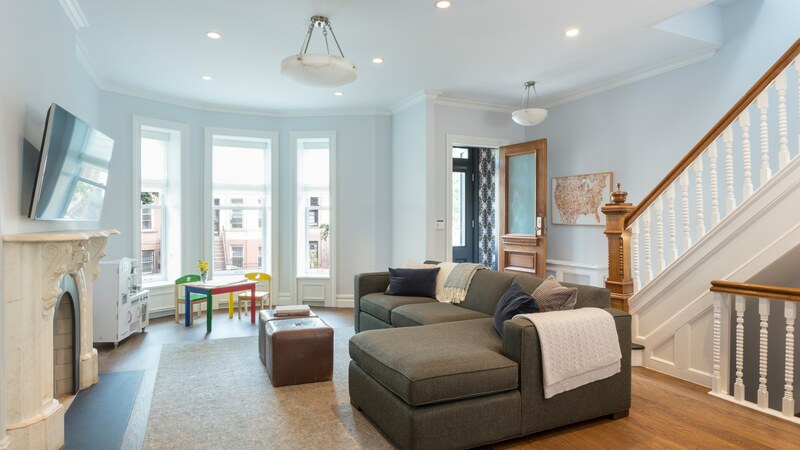 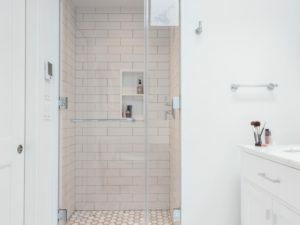 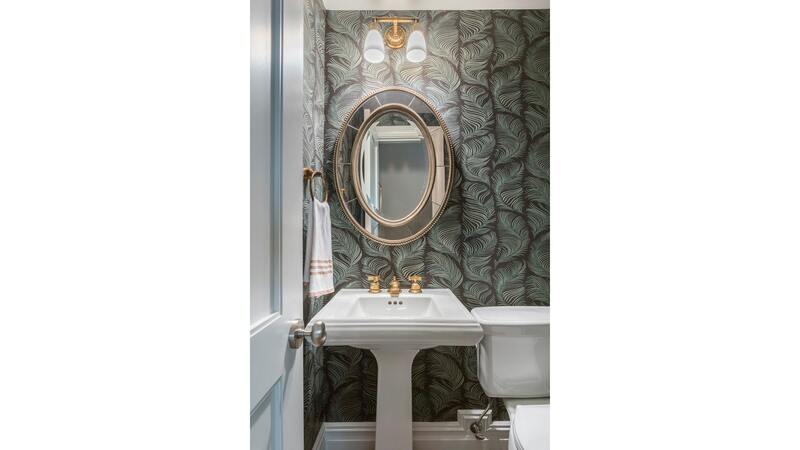 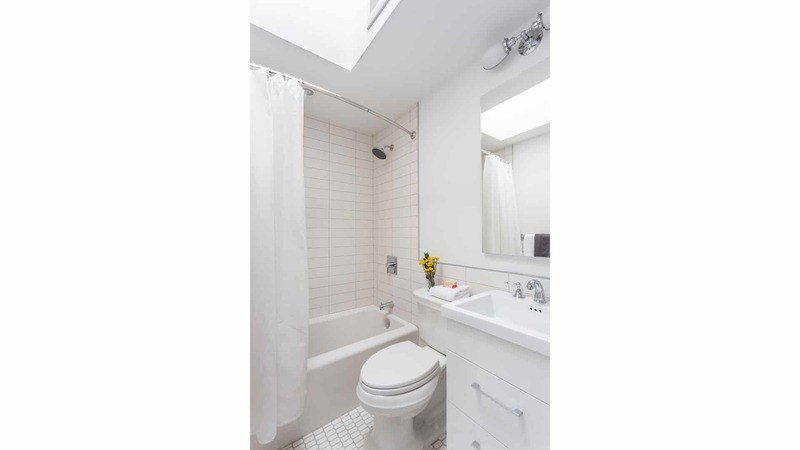 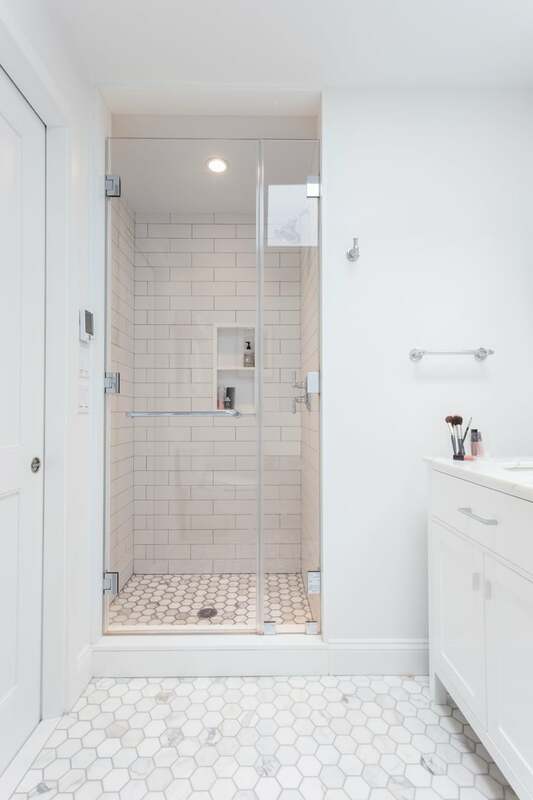 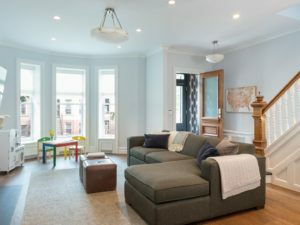 Three large skylights were installed to bring in natural light, and the modern baths include a nod to traditional brownstone tiles on the floors. 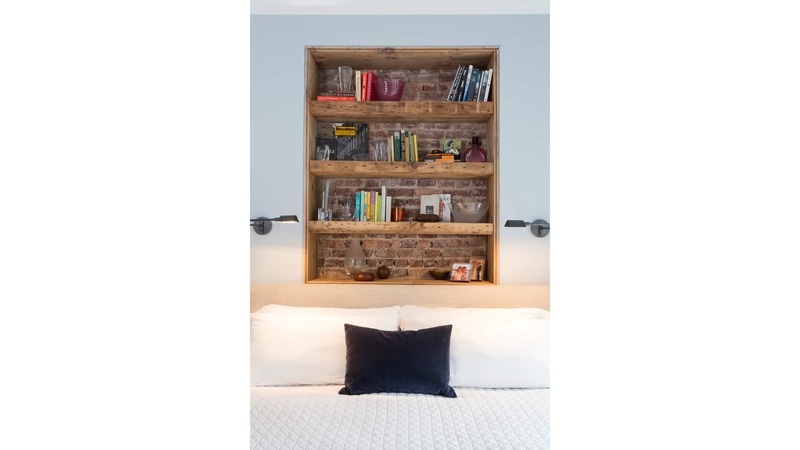 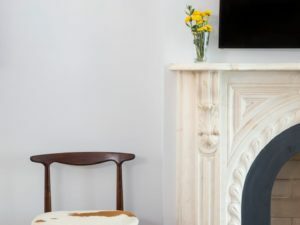 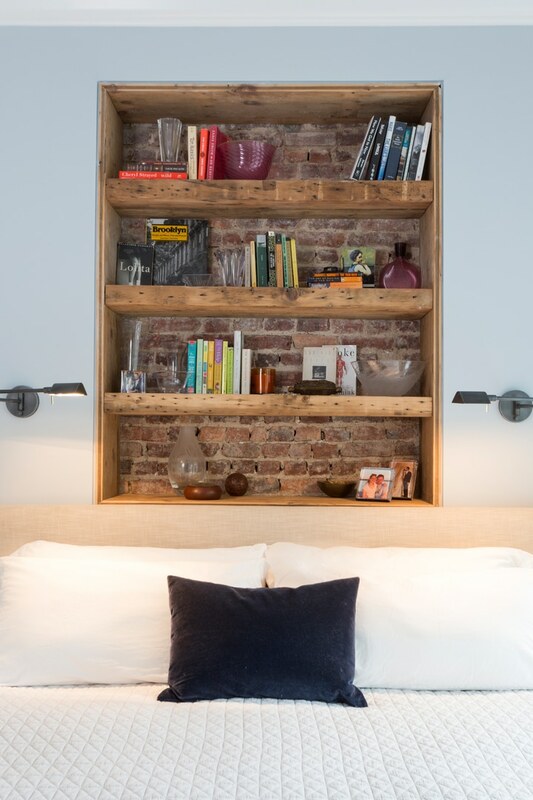 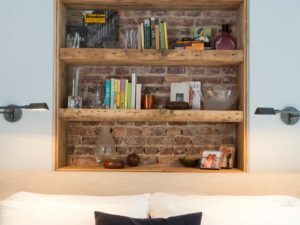 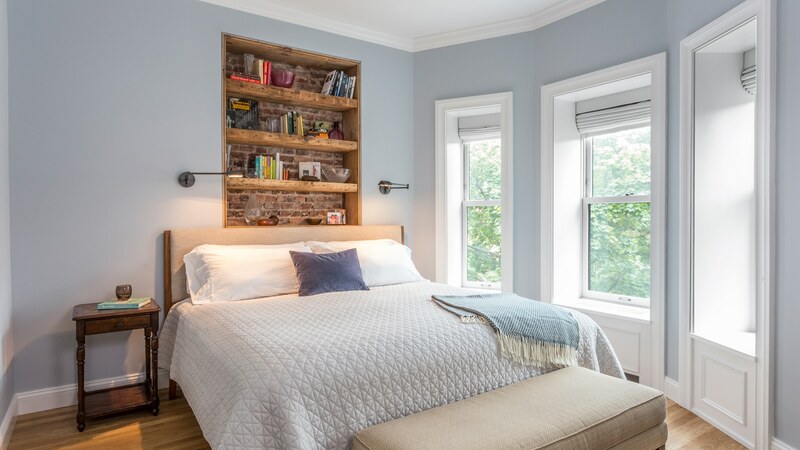 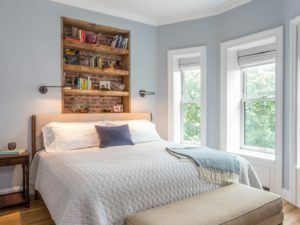 The master bedroom’s bookshelf niche is a special feature built around the existing chimney breast, exposing the brick beneath and using reclaimed floor joists for shelves.